It's a group of young, talented and energetic artists who came together to organize themselves for a common cause. 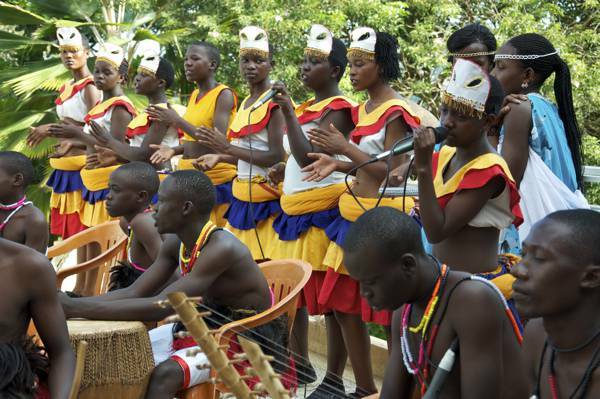 They now consist of 312 members (aged 5 – 18) who are trained by 15 professionals who are former beneficiaries of the same project in the traditional arts of the different cultures of Uganda and the great lakes region. educative leisure activities for youth and children in the urban slums of Kabalagala/Kampala, capital of Uganda and neighboring communities. to organizing educational and leisure activities for street and internally displaced youth and children. This leisure activity occupies the children and youth in their free time and becomes a concrete possibility for them to get free education through scholarships awarded to talented students.